Need website design services? What about web marketing or SEO services? Rapidas Group is a full-service web solutions company that provides a unique blend of comprehensive marketing strategies and web related services. We specialize in helping businesses to grow through the planning and execution of a wide variety of digital marketing services. In today's Internet-driven world it's becoming increasingly difficult to stand out online. Search engine results pages have become highly competitive for businesses trying to reach new customers, and without SEO strategy you don't have any chance. We know what it takes to build a strong online presence that attracts customers and generates leads. Let's face it — sometimes it's hard to know if your website is working as it should. Are customers really connecting with the information on your site? Are potential leads finding your site and staying long enough to get to know your business and buy into your services? Are any pages in particular bringing people in or turning them away? At Rapidas Group, our commitment to provable and measurable results means that the answers to these questions are important to us — and we're proud to say we can help you evaluate whether or not your site is working for you. Wondering if you're getting the most out of your website? We do no-charge Site Auditing to let you know about problems on your current site, and we also access the potential you have for greater sales and growth. How do we find out whether your site it working for you? Our favorite tools are the Site Audit, where we take a look at everything from images to links to code to copy to see what's working and what isn't, and Analytics & Reporting, where we gather data to show you how customers and potential customers are actually using your website, revealing what's working for them and what isn't. The right website can be a powerful business asset. It can generate leads, increase sales and drive business. It should be a customer resource center, a selling tool for your sales staff, and a strong representation of your business; a great website can show phenomenal ROI and a provable uptick in customer engagement. You should be proud of your website, and you should be secure in the fact that it's growing your business. That's exactly the kind of website we build at Rapidas Group. 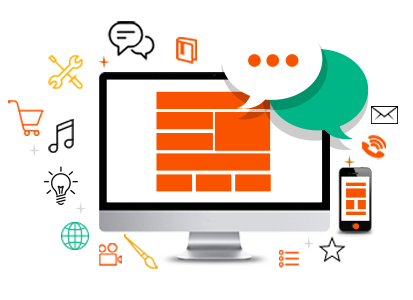 Whether your website needs a facelift or a complete overhaul in functionality, we can help. The first step is a Site Audit so we can help determine what your site will need. Depending on the results, we can help you with anything from a refresh with new images and copywriting to more substantial changes to your site's coding. Internet best practices change frequently, and great websites keep up with those updates and changes, staying fresh and looking fantastic on all devices. But staying on top of updates, protecting your site against hackers and making sure your site is always performing its best can be overwhelming — that's where Rapidas Group support team comes in. You want to increase leads, improve your Google ranking and get more customers to your website where they'll fall in love with your services and products — but how do you make that happen? Lots of marketing experts will promise you the world without offering anything in return, but Rapidas Group is different.